Today is the last day of EXPO CHICAGO. If you haven’t made it out to Navy Pier to see the fair then change your plans and head on over. Over the last few days we have been highlighting the artists we are featuring at the fair and today is no exception. Robert & Shana ParkeHarrion’s Precipice series combines their love of theater and performance. In each image, we see a man bearing witness to his own desires and struggles. In all of these majestic photographs, the environment is larger than man, reminding the viewer that we need to listen, pay attention and care for our surroundings. Below is a fantastic Artist Talk we recorded during their exhibition at the gallery this past March. 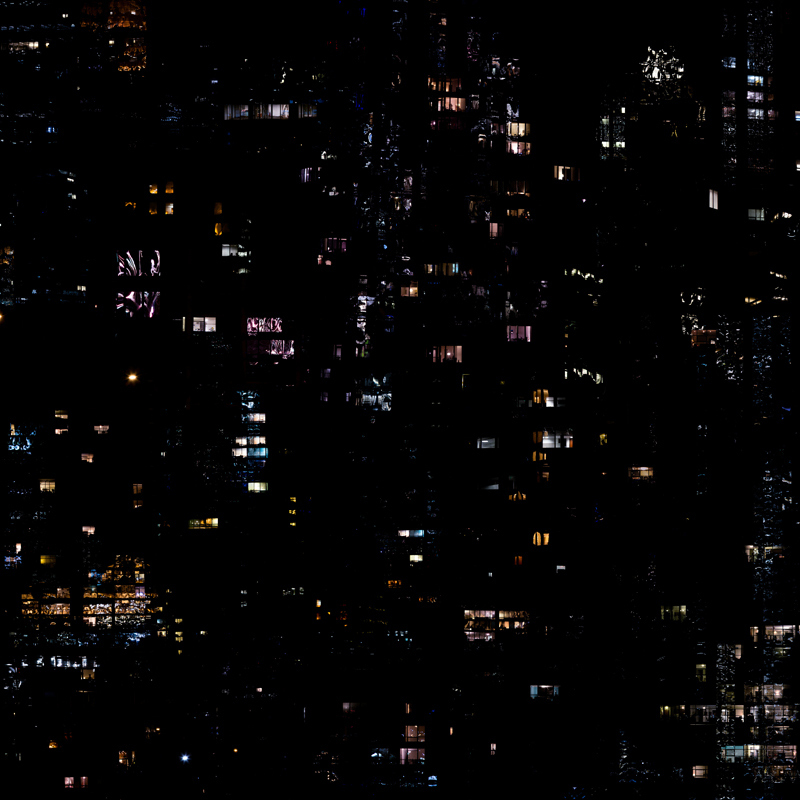 Clarissa Bonet’s work is currently on view at the gallery through October 29 and is also on view at EXPO. In 2014, Bonet embarked on a second ongoing project, Stray Light, which looks at the anonymity of people in their homes at night. Bonet photographs once the sun sets, capturing the colorful glows from hotel and apartment windows. Back in her studio, she carefully constructs each image from multiple photographs, transforming the urban cityscape into a constellation, as the mind tries to organize the information presented. Francesco Pergolesi was raised in Spoleto, a small Italian village filled with artisan shops and small businesses. Now splitting his time between Spoleto and Barcelona, Pergolesi creates photographic tableaus inspired by memories from his past: narrow cobblestone streets, the sound of a hammer coming from the open door of a shoemaker; the smell of fresh bread from a baker, the steady beat of a sewing machine from an open window, the smell of old paper in a used bookstore. In Pergolesi’s world, these sights and smells drive his art making, as he seeks to preserve the past. Below is a Chat Room episode that was recorded while Francesco was in Chicago for his exhibition at the gallery.